What were the primary factors that influenced your decision to study abroad? I was always open to trying new things since childhood and was never too shy to explore unique experiences; this is why study abroad was an amazing opportunity for me. As a student who graduated from VCU with a B.S. in Biology and B.A. in Foreign Language: Spanish, I knew how critical my learning of Spanish in a foreign country would be toward my future endeavor of becoming a medical doctor. What made you choose your destination? 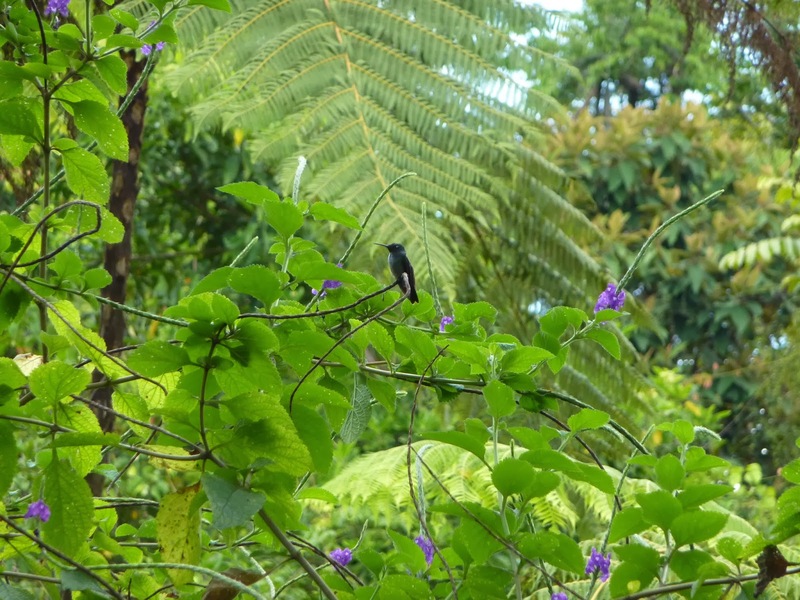 Choosing Costa Rica was easy for me – it’s known for having great tourist attractions, friendly people, and a Spanish dialect that is relatively easy to speak and understand in comparison to that of other countries. More so, it was great because most Spanish speaking immigrants that migrate to the United States come from Mexico and Central America. Studying abroad in Costa Rica is another reason why this sort of cultural awareness that I have gained will help me better connect with my patients on a more personal level in the future. What classes did you take while abroad and how would you compare them to taking courses on campus at VCU? 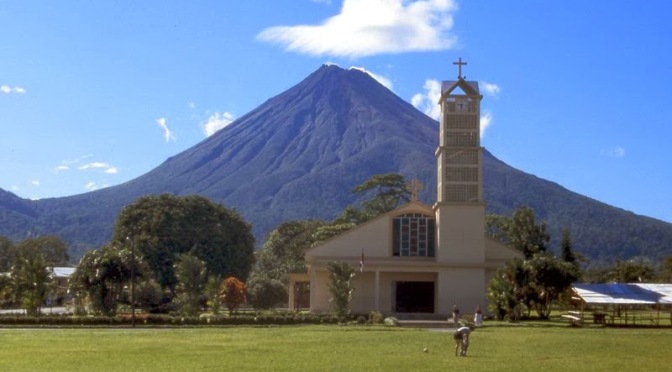 During my 4-month stay in Costa Rica, I was able to take 15 credits of Spanish, which was truly an amazing experience. At VCU, students are usually limited to 2-3 language classes per semester. Taking five classes with non-native English speakers definitely changes the game in comparison. Instructors had higher expectations of us, and we truly had to force ourselves to learn the language and speak it. Towards the end of my trip, I felt comfortable traveling alone from city to city, being able to confidently navigate my way around and ask the local people for help if necessary. During my time in Costa Rica, I was able to take a Spanish Composition course, Hispanic Texts, Latin American Cinema, Analysis of Literature, and an Analysis of Culture course. The professors truly went out of their way to ensure we learned and were fully immersed in the language and culture. Another benefit was when I returned to VCU to take three more 400 level courses, it felt like a breeze! After speaking the language continuously for four months, it seemed as if I were forgetting my English as Spanish grew on me daily. What were some of the challenges you faced while adjusting to your host country? How might these challenges help you in the future? For the first two months I was there, I took a 40-minute bus ride every Friday to a local pool in order to overcome my fear of opens waters and learn how to swim. 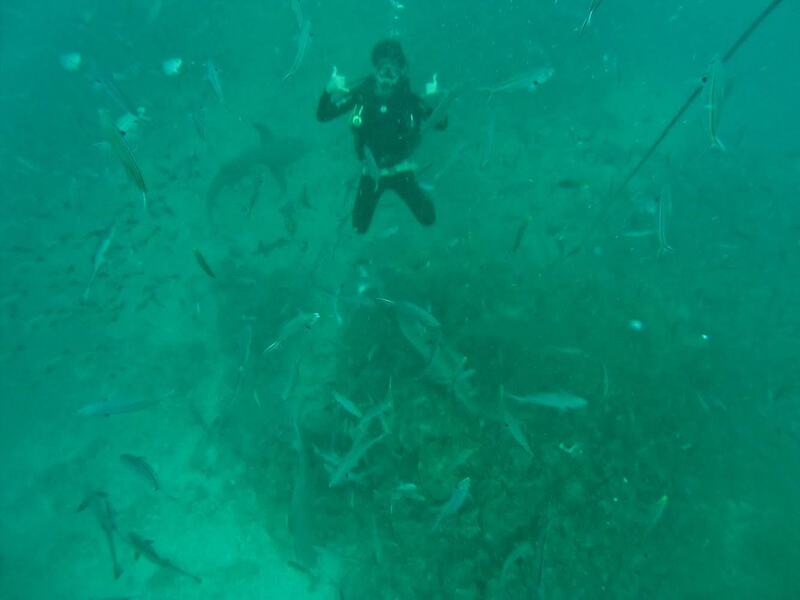 By mid-March, I had finally conquered my fear and was able to scuba dive for two days up to a depth of 60 feet, viewing the marvelous life that laid beneath. Surprisingly enough, some of the physics I learned at VCU came in handy for this experience. Aside from all the fun and games, I was able to help several kids at Llorente Elementary School learn English. Working with these children and tutoring my host brothers in mathematics and science truly instilled in me the passion and desire to learn more so that I may help others one day as a physician. How has your experience changed your future academic and career goals? Through this experience, I have better diversified myself so that I can more easily relate with future patients. The doctor-patient relationship is truly something dynamic. Having complete trust in a physician is absolutely essential if the physician wants to properly and extensively diagnose you; I personally feel as though living in another country and speaking a different language will open up new possibilities for my future. Seeing how a population interacts in a third world country changes your vision on how people relate to one another. By gathering and learning new culturally pertinent information, I believe I can relay this valuable information to migrant patients so that they feel a sense of hominess. This experience could help all doctors out there; studying abroad is a great start to exploring unique cultures. What were your most memorable experiences? 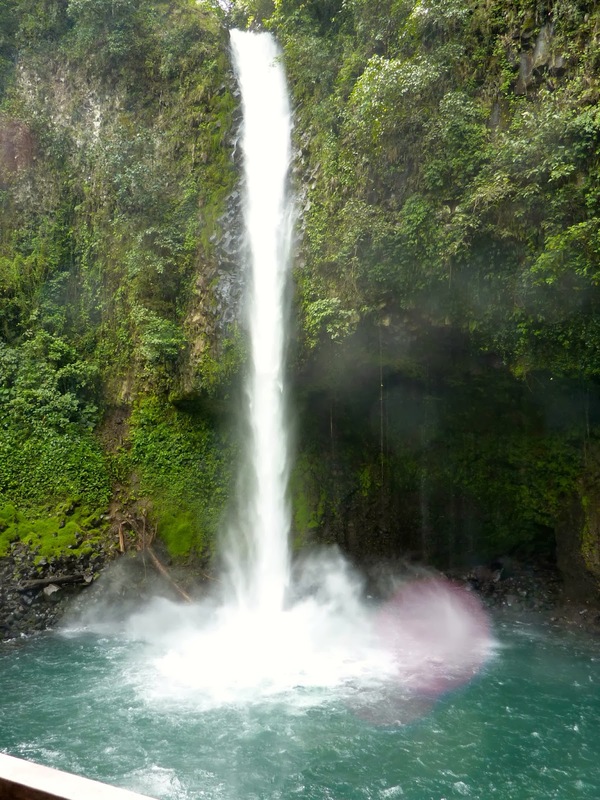 While abroad, I wasn’t able to participate in any medically related experiences such as conducting research or shadowing physicians due to Costa Rica’s strict limitations. However, I was able to step outside my comfort zone and boundaries in order to make myself a more competent, passionate person. I took extremes when it came to travel, especially with respect to the outdoor world. I went camping for the first time in my life, not just once but many times. I learned how to survive in the woods for several days at a time; in fact, there was one day we walked non-stop for nearly 25 miles! I learned how to rappel down a waterfall, bungee jump, and zip-line as well. How has your study abroad experience changed your worldview? Late night discussions with my host family each evening during dinner truly sparked my respect for different people. I realized that not everyone has it as easy as we do in the United States. Hearing the struggles that my family went through in order to come to where they are now truly made me appreciate life once again and not take it for granted. They taught me invaluable lessons – lessons that I will always remember for the rest of my life, and lessons that will be useful while I treat patients of Hispanic descent. As far as ethnicities are concerned, most patients feel more comfortable and open toward those of their own ethnicity; by diversifying myself in 3 cultures: North American, Indian, and Hispanic, I believe I can better handle social discussions with future patients. This will ultimately lead to me being a better doctor that is able to more critically evaluate a patient’s condition. How has your study abroad experience changed you as a person? 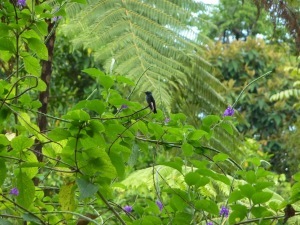 Studying abroad in Costa Rica was something I’d always dreamed about, but I never thought it would come true. Living for four months in the small district of Heredia (known as San Joaquin de Flores) was truly life changing in many ways. Overcoming a language barrier by learning how to fluently speak Spanish as well as experiencing the world in a more physical manner greatly influenced the person I am today. What would you say to a student who is considering studying abroad? Definitely meet with the GEO office early. Start planning your trip and make sure you apply for scholarships. If you’re a premedical student, work with your advisors. Chances are if you’re a junior and you’re studying abroad, you’re going to miss several updates regarding the pre-health committee so make sure you complete the application and submit an online Skype interview request. Don’t be scared- be open to trying out new things. You only get one shot at life- experience and learn by moving about and broadening your comfort zone. What led you to make the decision to study abroad? I first learned about the study abroad opportunities by attending a study abroad information session. After working closely with Stephanie Tignor, I was able to contact Dr. Richard Oliver at Curtin University for a possible study abroad research opportunity. He willingly accepted, and soon enough I was buying my plane ticket for Australia. Typically, students are enrolled in multiple classes during their study abroad. However, I spent all of my academic time performing research at the Australian Centre for Necrotrophic Fungal Pathogens (ACNFP) located at Curtin University. 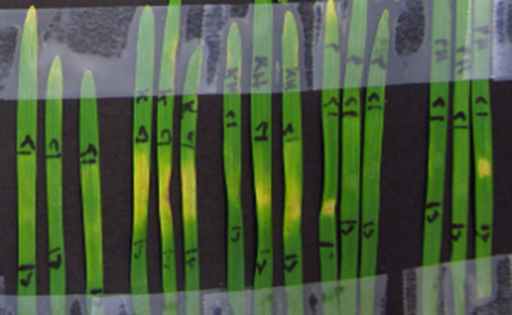 Under the guidance of an incredible post-doc, I ran experiments ranging from gene knockout to growing wheat cultivars. Elaborate on your research experience. Plant-pathogen interactions are of extreme importance when dealing with economic crops and ultimately national food stores. Tan spot disease of wheat causes significant economic losses worldwide, and is the most widespread and damaging wheat disease in Australia. The disease is caused by the necrotrophic fungal pathogen Pyrenophora tritici-repentis (Ptr), costing upwards of 212 million dollars in lost yield each year. The ACNFP at Curtin University has decided to tackle this problem using advanced genetic and molecular biology techniques to study the pathogenicity mechanisms of this fungus. During my study abroad semester, I aided in the identification of novel host-specific toxins produced by different Ptr isolates. Figure 1 – Example of a single cultivar treated with culture filtrate to determine susceptibility. 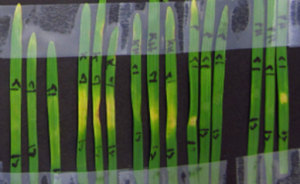 Other avenues of my research included testing new wheat cultivars with fungal toxins to determine cultivar sensitivity, as well as generating fungal gene knockouts that will be used to characterize candidate toxin genes. The goal of this research project, as with all other research projects undertaken by the ACNFP, is to gain fundamental knowledge of necrotrophic fungal pathosystems in order to reduce the incidence and severity of fungal crop diseases, to help guide growers in cultivar selection, and to develop molecular tools to ultimately breed out disease susceptibility. I thoroughly enjoyed being at the interface of practical and applied science, seeing research results make a direct impact on crop yields was a very rewarding experience. What were your most memorable experiences while studying abroad? While in Australia, I traveled up and down the west coast, drinking in the beauty and warmth of the sunburned nation. I got to spend many nights in the Australian outback, falling asleep under the stars. I also got travel to Indonesia, where I dove coral reefs, climbed volcanoes, and visited Hindu temples. I was fortunate to meet people from a multitude of cultures. Many languages were new to my ears. More importantly, I got to try foods that hid flavors I had never tasted before. I still keep in contact with many of the people I met in Perth to this day. 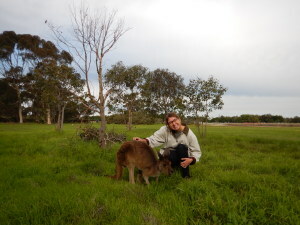 I will be traveling with friends from Australia this summer. Go talk to someone at the GEO today. Take a risk! What was the preliminary process like when deciding to study abroad? What impact did your program of study have on your decision? I’m a senior pre-dental biology major and business minor. I thought about study abroad during my junior year of college and applied for both exchange and direct programs through the International Student Exchange Program (ISEP). After finishing all the paperwork and finances, I found out that I got accepted to be a direct student (which personally I think is better when it comes to housing). I started my amazing five month adventure on the 300 Island of Fiji. I worked with my biology advisor at VCU as well as the advisors at the University of the South Pacific in Fiji to make sure that all the courses I was taking would transfer back and count towards my pre-dental track. I ended up taking animal and plant physiology for my major as well as economics and financial calculus so I wouldn’t waste any credits. Originally, I had wanted to study marine biology since all the labs would have hands-on experience. Unfortunately, I didn’t have the prerequisites for that course. I did, however, have the chance to meet great minds that specialize in this field while working with coral reefs; from them, I learned about coral bleaching and the increasing ocean temperature due to global warming. What program and destination did you choose and why? Any type of travel and any country you decide to go to will be a lifelong experience full of people and adventures that you’ll never forget. Personally, I wanted to go somewhere where I could maximize these experiences and try new things for the first time. I first learned about study abroad through one of the Global Education Office’s seminars. I started looking at a list of programs that offered upper level biology courses since I was going to be studying abroad as a senior. 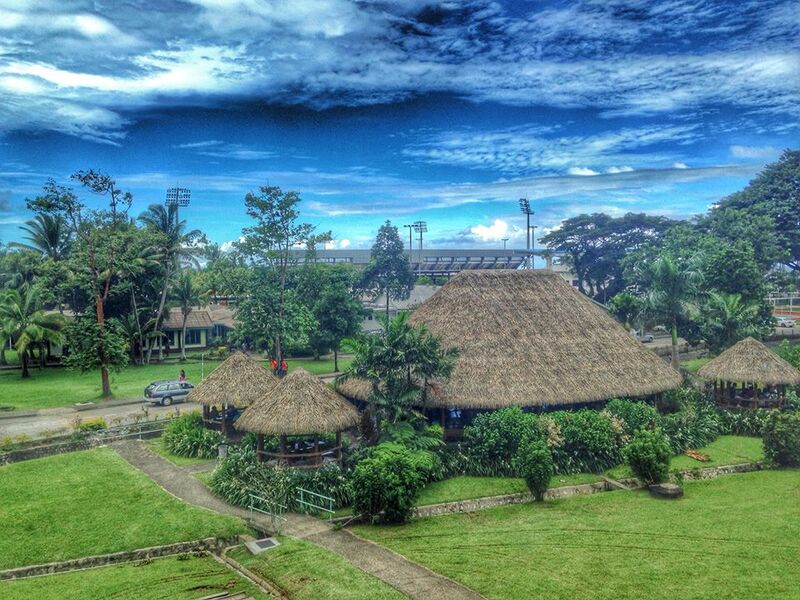 Out of all the places that offered those biology classes in English, the University of South Pacific in Fiji was the one that stood out the most, even though it was located in the country that I knew the least about. The only thing I knew about Fiji was that they had a highly over-priced bottled water; it turns out that this brand is the only bottled water here. We actually were able to go to the factory to see how the water is filtered through volcanic rocks! What classes did you take while abroad and how would you compare the experience to taking courses on campus at VCU? The course load is structured very differently from our system back home. The labs for all the sciences, especially biology, involve a lot of field trips to farms and research centers to apply the things learned in lab to the field. I learned a great deal about coral reefs, coral bleaching and effects of global warming, and the leading research in Fiji concerning the importance of their survival. What were your favorite things about your study abroad experience? Waking up to fresh bananas, coconuts, and a quick morning jog to the Pacific Ocean is exactly what I dreamed about all my life. Getting the opportunity to live my dream while going to school has been the best thing to ever happen in my life. Not one student on the trip complained about getting to spend every other weekend at a “screensaver resort”, as we called it, for less than $15 US dollars per night. 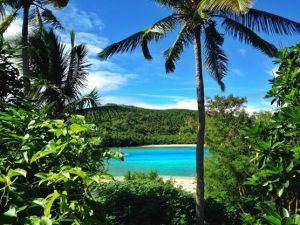 If you want to be on an English-speaking tropical island while learning two languages at the same time (Fijian and Hindi), climb mountains that were inhibited by cannibal tribes 100 years ago, lay on endless hammocks, and dive (with no cage!) 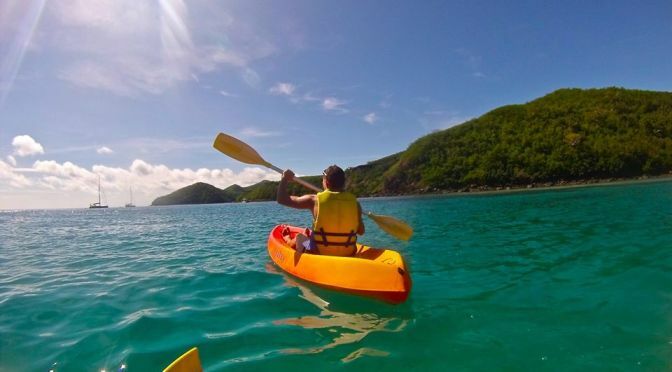 with over ten species of sharks, all while studying and learning biology or environmental studies in an interactive way, Fiji is the place to do it. My advice to students is to plan and save money early, research, and talk to people like me. “Travel is fatal to prejudice, bigotry, and narrow-mindedness, and many of our people need it sorely on these accounts. Broad, wholesome, charitable views of men and things cannot be acquired by vegetating in one little corner of the earth all one’s lifetime.” -Mark Twain. I chose to participate in study abroad simply to try something new, to visit a new place, and to see new things. 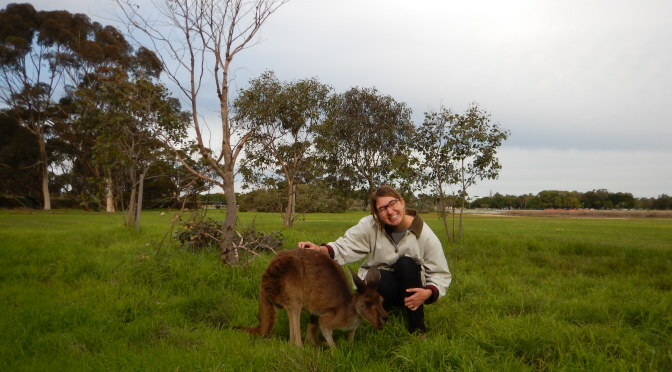 As I began researching where to study, I realized that Australia would be perfect for me as a biology student focusing on ecology. 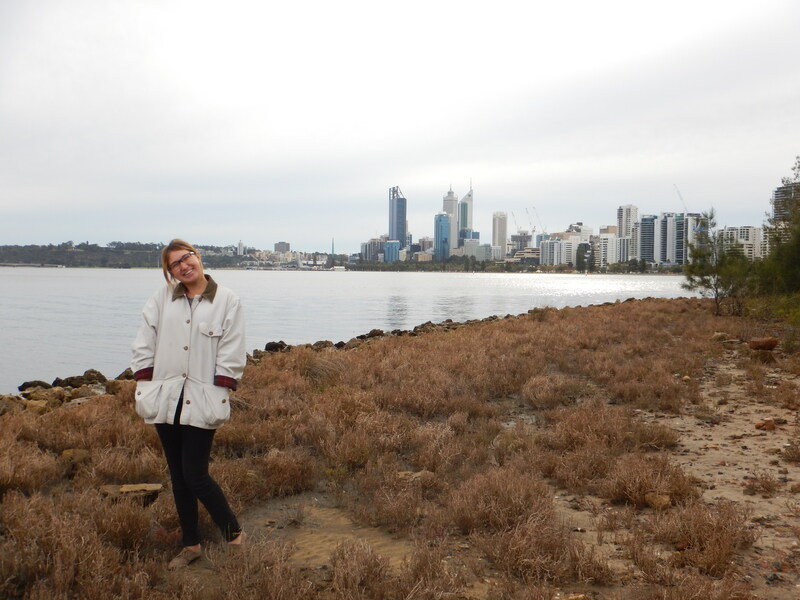 I chose the program in Perth because I had heard that the Western Coast of Australia was one of the most bio-diverse and beautiful parts of Australia. When signing up for classes at Curtin University, I was thrilled by the course options available. Of the multitude of options, I chose to partake in Marine Biodiversity, Conservation, Botany, and Quantitative biology. Not only did the classes sound interesting, but once I began the classes I realized they were also highly hands-on. Rather than studying for in-class exams, assignments consisted of writing on a topic or performing various field collections. Although the assignment grading was vigorous, I learned so much more from the assignments than I would have from testing. Of course not everyone is interested in ecology, but I’ve heard from other students that most programs are similar in that the students are very involved and interactive in the lessons. Although I did not partake in any research while at Curtin, I often heard of many opportunities in research. Even outside of the university, there are many opportunities to get involved in various ecological volunteering. I did get involved in volunteering and met wonderful new people through this. For you, what were the benefits of studying abroad? Overall, I loved my experience abroad. Not only have I learned new things I likely would not have at VCU (such as the very different flora and fauna), but I have grown more responsible from the experience. Just from being here, I have enhanced my resume and broadened my network. There is not one negative that comes along with studying abroad; it is entirely, from my point of view, a wonderful experience. It’s important to do that extra research as well to find a place that has the right courses for you, and even better, ones that may not be offered at home. As far as other preparations go, it’s important to get on it early, although I had no problems and the Global Education Office is always very helpful. All in all, studying abroad is a wonderful experience that everyone should partake, in and I would recommend it to anyone. One thing that I would recommend to students once they go abroad is to get involved in as many things as possible. In most cases you are only here for a short time and you don’t want to miss anything. I also recommend trying for a location slightly out of your comfort zone. I chose to come to Australia and although I loved it, sometimes I wish I chose a place that spoke a different language or had a completely different culture.